Allusion indicated he will be no passing reference on the racetrack with a dominant debut victory at Morphettville Parks on Wednesday, February 6. 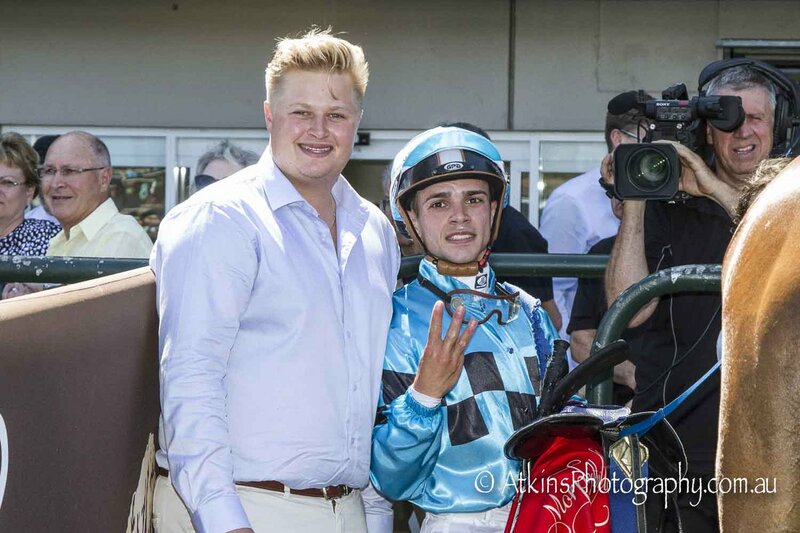 The victory gave trainer Tony McEvoy the first three winners at the South Australian track and he also had a victory with Game Keeper at Sandown for four but Rockarral would give him a handful later in the day. Three-year-old Allusion, a well backed $2.10 favourite, bolted home six lengths clear in the Adelaide Cup March 11 Maiden (1400m) defeating French Response ($31) with California Spell ($3.70), two lengths away third. The win was extra special for assistant trainer Calvin McEvoy, he is a part-owner of the gelding. “It is a real thrill,” McEvoy said. “We paid a lot of money for him as a yearling and really liked him but one of the owners was downsizing so I picked up a share. “He trialled a few times over 1000 metres and was left a bit flat-footed, so blinkers on today and 1400 metres and it was nice to watch. “Allusion has a beautiful, economic action so we would expect him to be suited at 1600 metres to 2000 metres. McEvoy paid tribute to Linda Ward, John Cornell and all the staff at Kildalton Park at Angaston as well as the team in Melbourne. Jockey Chris Caserta brought up a treble with the win on Allusion. “I was able to get him into a nice spot trailing the leaders,” Caserta said.